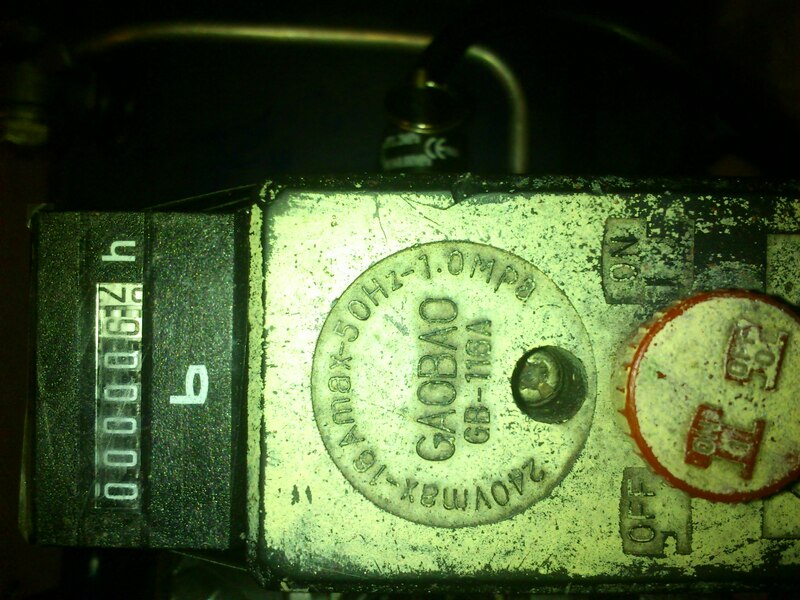 As compressors need oil to be replaced after several hundreds of motor hours it's handy to have counter that will keep track of running time whenever pressure switch activates the motor. It's very simple mod. Compressors are quite noisy and loud, so it's always good idea to keep them in different room. 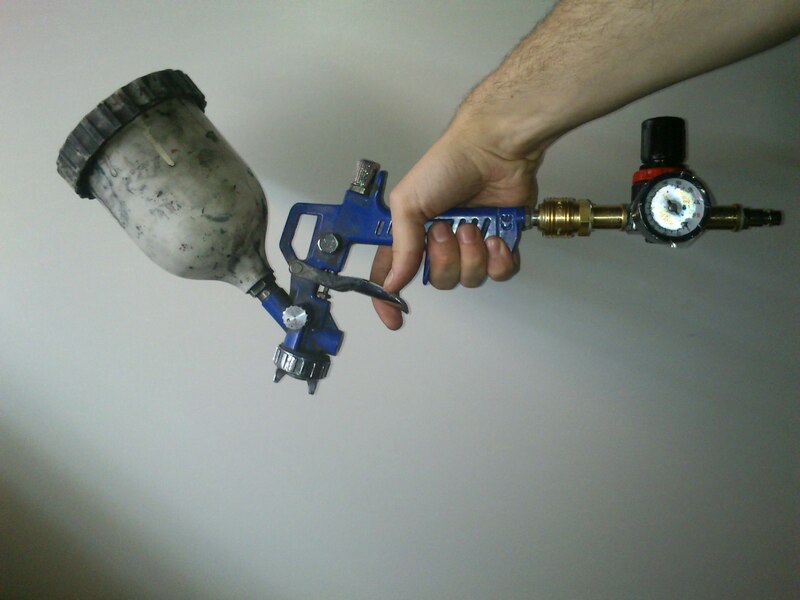 However for some tasks (like spray-painting) you need to fine tune the pressure. 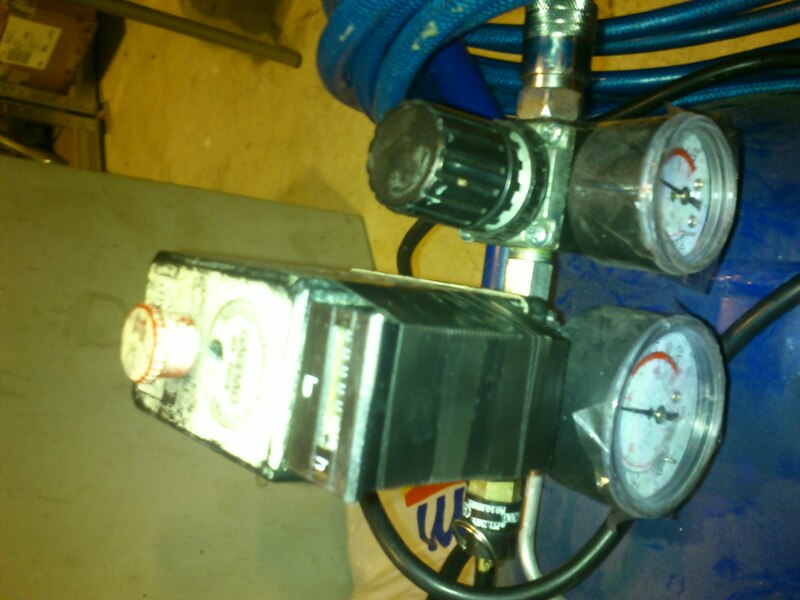 Therefore you can make standalone pressure regulator which can be attached directly on hose in your workshop. 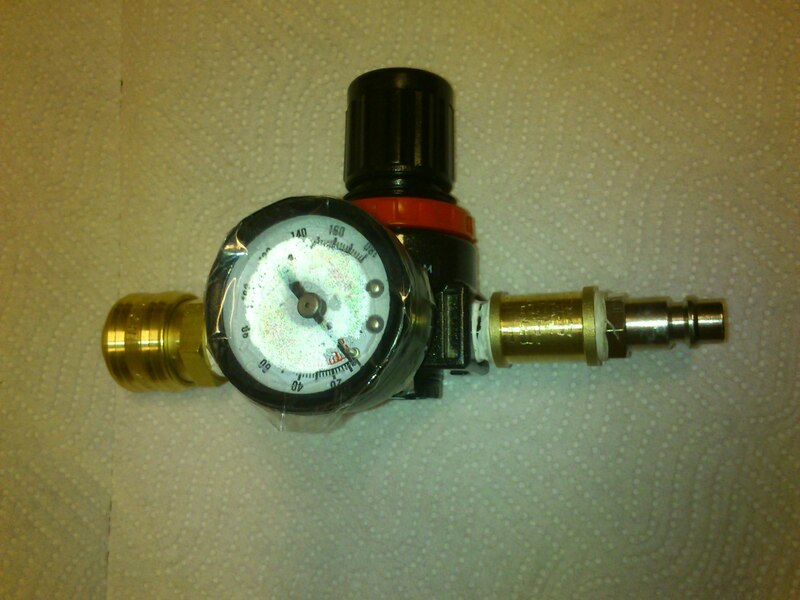 You can even remove and reuse the pressure regulator from compressor if you're on tight budget. Just be sure to leave pressure switch and safety valves intact. 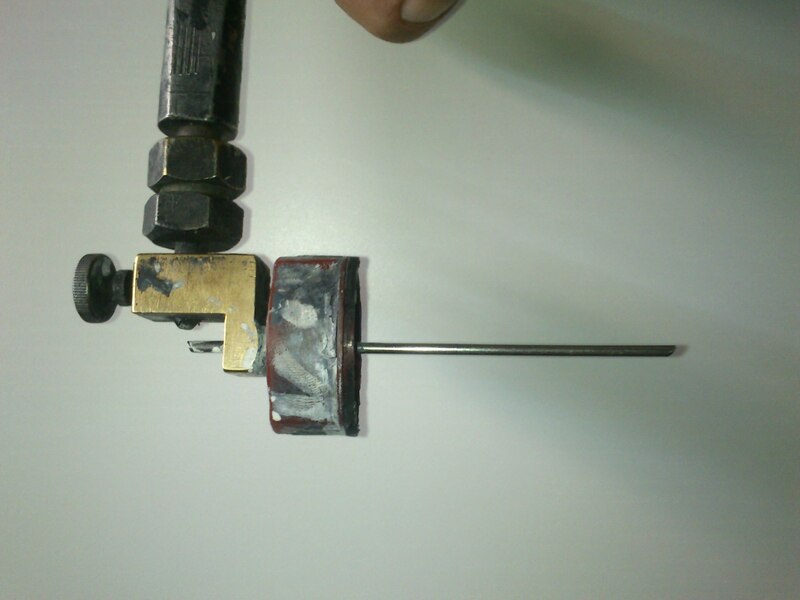 Also once you undo the high pressure threads you will need lots of teflon tape to make good seal again. You can use soapy water to check for leaks. Note that i've put transparent tape over the barometer, so it will not get accidentaly spraypainted. 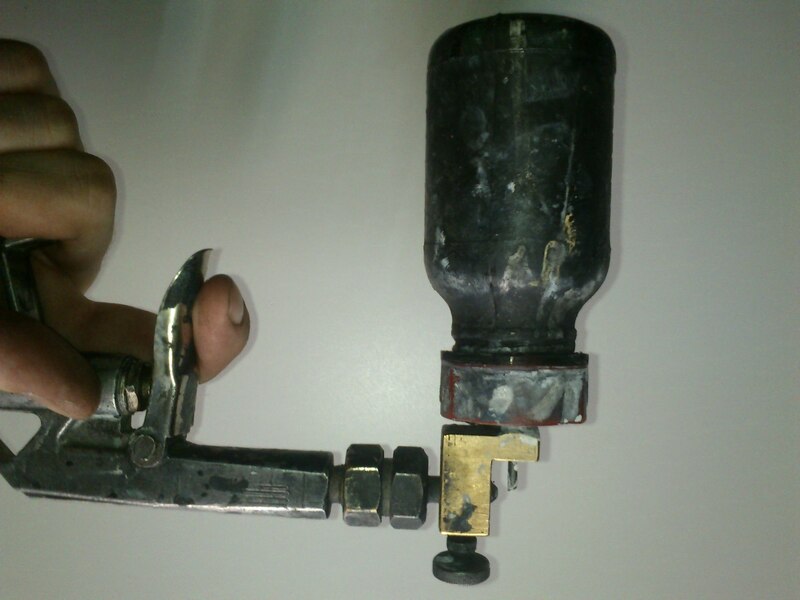 Some regulators may have locking mechanism. Read manual if you can't turn it easily. Maybe you have to pull the wheel or something. 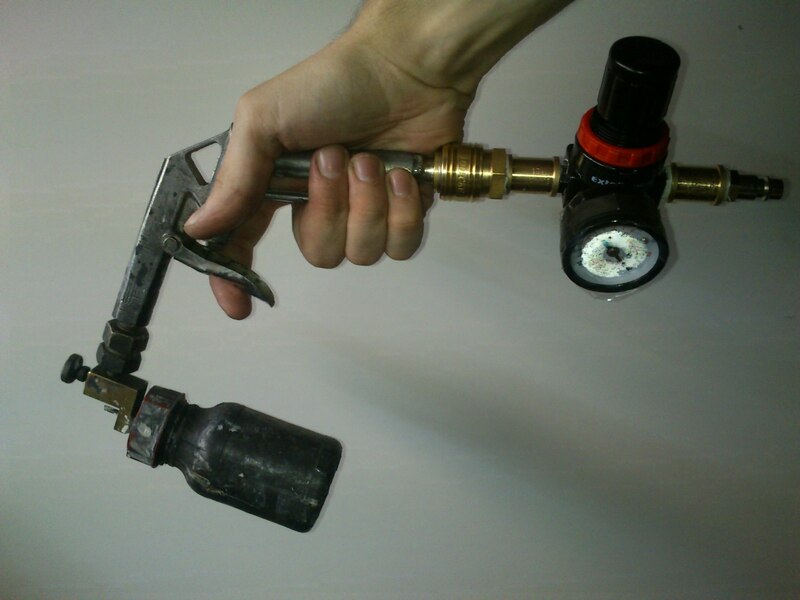 You can break the regulator or membrane if you overdo it. 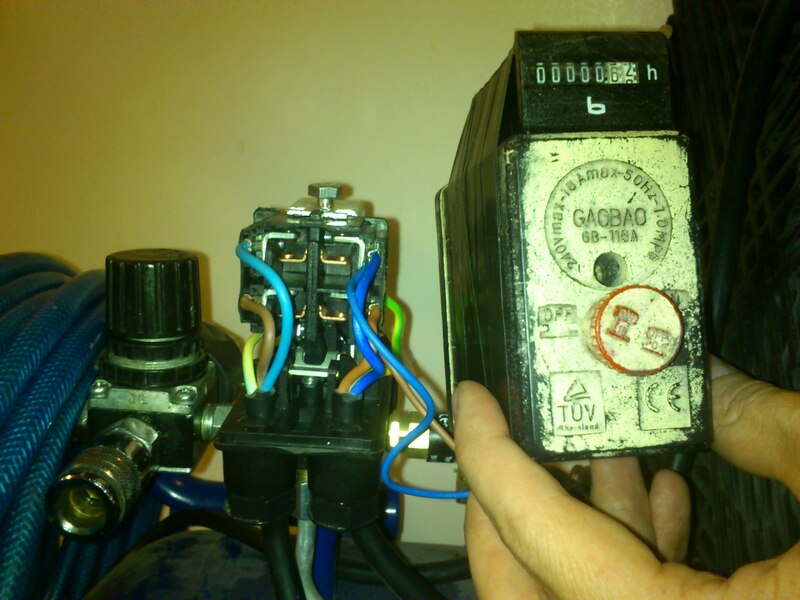 Never connect regulator to pressure when it's completely tight. 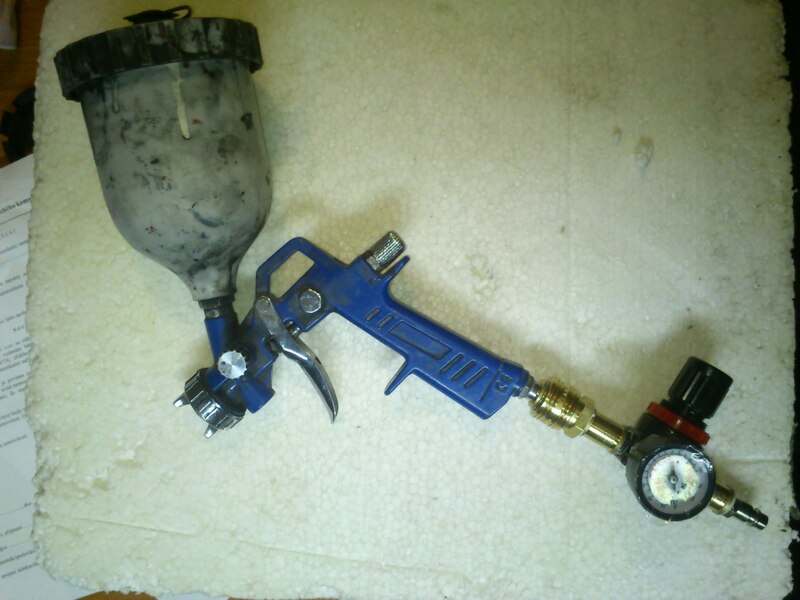 This top-fed HVLP (high volume / low pressure) gun is bit more tricky to setup than traditional bottom-fed airbrush guns, however it has advantage of lower usage of compressed air, which results in less paint/thinner being blown around the room and breathed by personel.